Collecting on a budget means one thing. 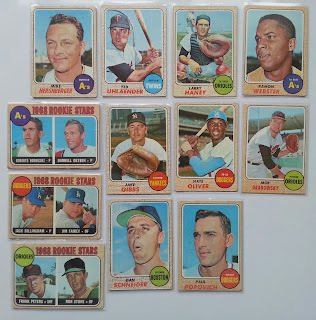 As well as the members of the 'UK Card' group on Facebook, The Dutch Card Guy from Holland and The Italian Completist I trade with members of the database and trading site Zistle. Today my 10th successful trade arrived the America and I'm very pleased with it. 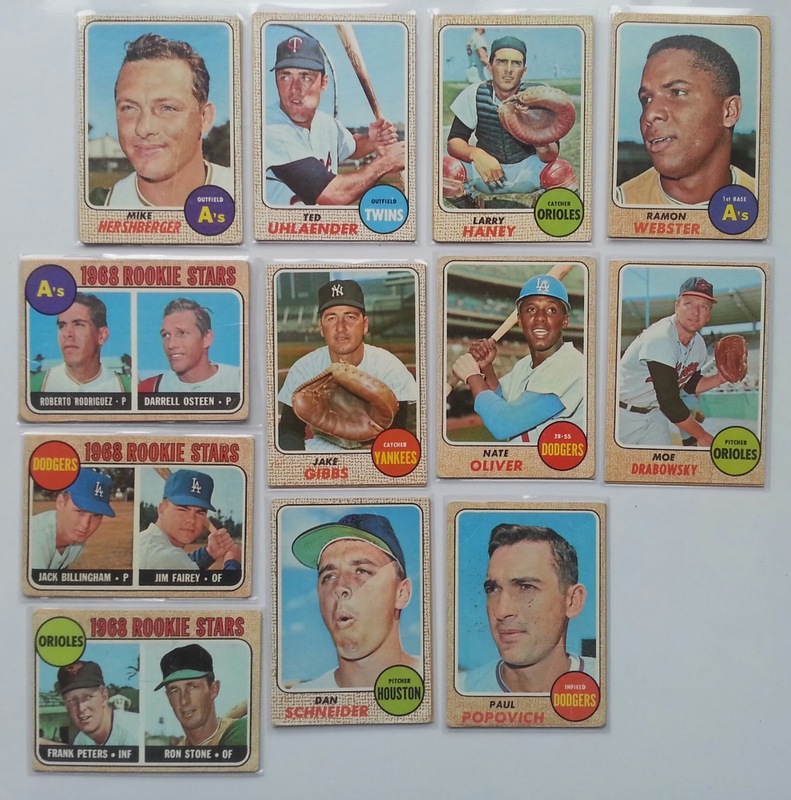 Last year (2015) I decided I'd start collecting baseball cards from the year of my birth so the 1968 Topps set was added to my wantlist. My wife started my collection off (with help from a UK Cards member) as a Christmas present so 47 cards marked the start of my collection. As the end of January, and payday, approached I decided I'd add some cards to my collection. The usual frustration with ebay and the high postage costs to England switched my attention to Zistle. The easy to use 'Find Trades' guided me to 'Bumfan'. A quick check of this users profile showed as well as being from Washington State had successfully completed 20+ trades. As I always do I contact the user first to see if they are willing to trade with a collector from England. The higher shipping costs and associated risk is something that puts some users off and I have been turned down before for those reasons. Fortunately they said yes and using the 'Trade Manager' you can easily select the 'cards you get' and then 'cards they get' and then review the 'trade summary'. 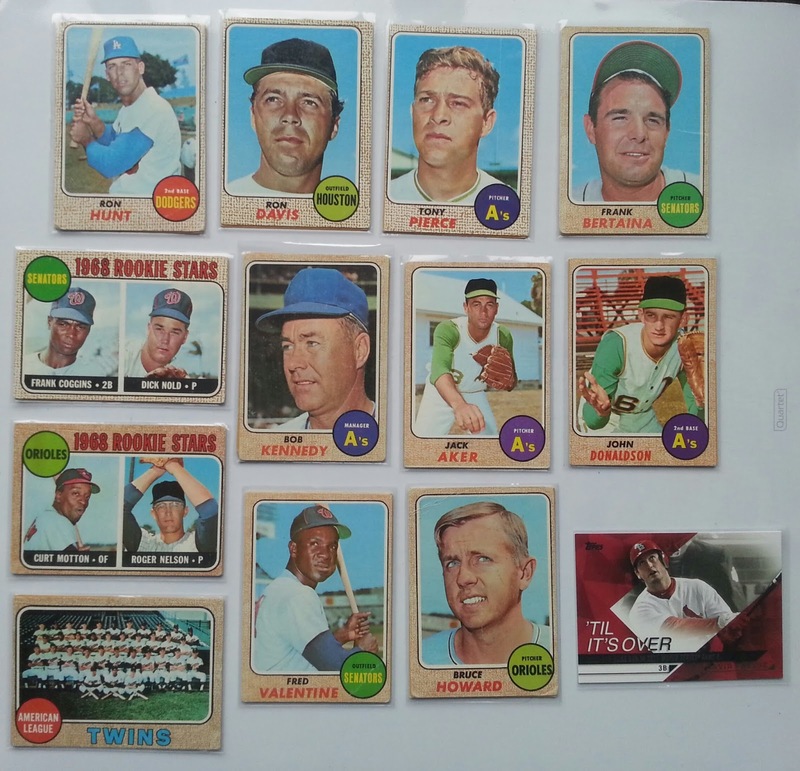 In this instance I was after the 1968 set and the cards they were getting were mainly 2015 base set so I offered nearly 3 cards for my 1. Seemed a fair deal and always keen to set a sweetener on the first trade to encourage repeat trades. Anyway the cards were posted in both directions, theirs arrived yesterday and mine arrived today. So after all that build up here they are. 24 more cards for my 1968 collection and a 2015 insert I was missing too.